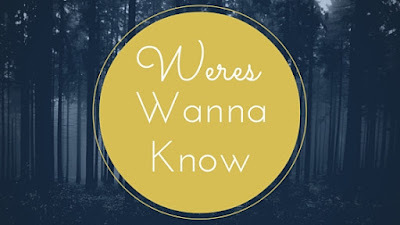 Goldilox and the Three Weres: Weres Wanna Know: Do You Read More Backlist Books Or New Releases? Weres Wanna Know: Do You Read More Backlist Books Or New Releases? I'm finally getting around to analyzing my book stats from 2017 and I found something interesting. Most of books I read last year (and the first part of this year) have been mostly new releases. Actually, if we exclude manga and rereads, I only read 26 backlist books that were published before 2017 out of the 97 books I read (26%). That's a very small fraction of my reading. So far this year, if I exclude manga and rereads, I've read 7 backlist books out of the 16 books I've read (44%). While 2018 is looking like I'll do better than last year, most of my success this year is directly correlated to my participation in the Beat the Backlist challenge. So it got me thinking about why I read so many new releases compared to backlist books. I have a ridiculous amount of unread books published before 2018 on my shelves and that number isn't getting any smaller. One of the main reasons I read mostly new books is because I get several ARCs for review on the blog each month and I prioritize getting those read over my personal reading. But it's not a big enough number to describe what is happening. Aside from ARCs, the only other reasons I can think of as to why I read so many new releases are hype and buyer's guilt. I have a love-hate relationship with hype in the book community. And while it can deter me from picking books up, it plays an even bigger role in getting me to pick books up. I frequently have this fear that I'm missing out on the next big thing that could be this decade's Harry Potter. It seems that no matter how old I get, I still want to be one of the cool book nerds. It also doesn't hurt that, I want to be able to be apart of the conversation. The other reason is that I feel buyer's guilt with new releases. Like if I buy it, I should immediately read it guilt. I buy a lot of books each year but most of them are ebooks. It's weird but I totally feel more guilty buying a physical book and not reading it than I do an ebook. So I tend to read the new physical books I buy. Do I get to everything I buy? No, I don't. Some series I'm waiting till they're finished to start and others I need to get caught up with first. But if I buy a book that I can read immediately, I usually do. I always have the goal to reduce my TBR pile but to do that I need to prioritize my older books over new releases. The Beat the Backlist challenge has helped but I really don't have any ideas on how to be better at reading older books. Do you all have any advice or tips that will help me pick up more backlist books? We’re participating in the 2018 Discussion Challenge hosted by It Starts at Midnight and Feed Your Fiction Addiction. Go check out all the April discussions!